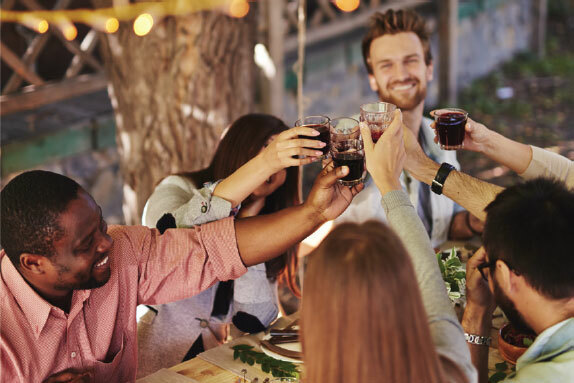 Take advantage of The Hunter Valley’s best – stunning, scenic views and local produce with Newcastle Connections Wine Tours. Create an experience with family and friends, and enjoy the heart of The Valley, visiting some of its best-kept treasures. Treat yourself to a day-trip full of flavourful food, Australia’s best wines and great company. Let Newcastle Connections take the worry out of transport logistics and time schedule planning. Enjoy a full-bodied red over a fruity white? How about including Vodka Tasting and spirits into your journey? 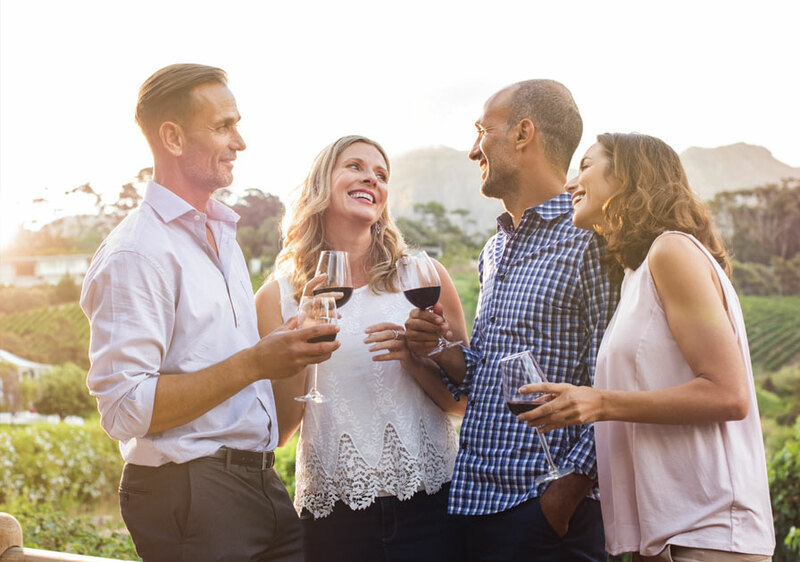 Newcastle Connections helps you experience the best of the Hunter’s Wine Country by letting you choose the destinations. We love catering our tours to the locations that we have right at our finger tips. 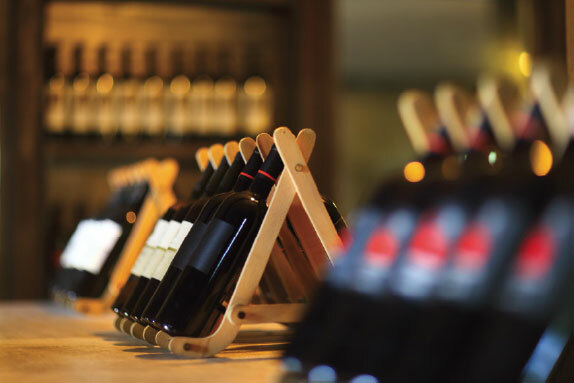 Visit 3 family-owned, boutique wineries in the first half of your Wine Tour, and immerse yourself in product knowledge with passionate staff members. Enjoy the best drops these dedicated cultivators have to offer, and buy your new favourite taste straight from the source. Take a break for lunch at The Cellar Restaurant, located in the Hunter Valley Gardens’ shopping precinct. This area is bursting with local produce and homewares to suit any taste. The final stop to your Tailored Wine Tour is a choice of the following three destinations, all as appetising and entertaining as the next! Create a tailored package covering your individual palette or leave the planning to our local connoisseurs. 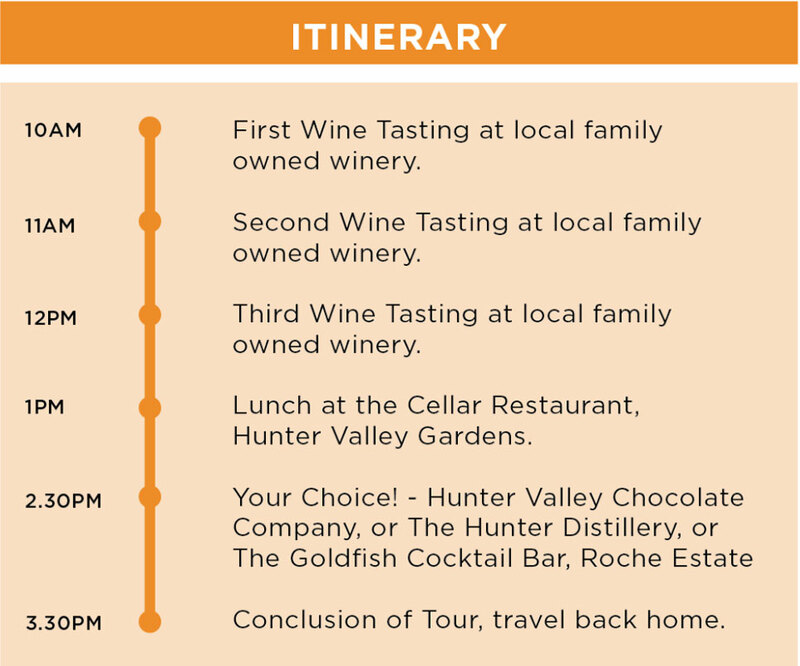 Newcastle Connections Hunter Valley Wine Tours are an experience not to be missed, book today.